San Francisco — July 24, 2018 — Chinese automakers will face an uphill battle earning the trust—and attention—of U.S. car shoppers, according to a recent poll by Autolist. With several Chinese brands eyeing an entry into the U.S. market in the coming years, Autolist polled 1,565 consumers in July about their awareness of and openness to a Chinese brand vehicle. Thirty-five percent of respondents said they wouldn’t consider buying a vehicle from a Chinese brand. Thirty-eight percent said they were unsure, and 27% said they would consider one. Consumers’ attitudes toward Chinese brands differ depending on what country their own car is from, Autolist’s study found. Shoppers who currently own an Asian vehicle (from Japan or Korea) were more likely to consider a Chinese brand than people who currently own a European or American vehicle. So what’s holding consumers back? Concerns about reliability and safety. Twenty-three percent of consumers surveyed said worries about reliability were the main reason that they wouldn’t buy a Chinese brand vehicle. Safety was a close second, with 21% of consumers citing it as their key concern. A lack of an established dealer and service network was the third most common reason, cited by 15% of those polled. Chinese brands have long coveted the lucrative U.S. market, and several have made promises in the past only to have their plans evaporate due to low brand awareness, poor build quality and failure to meet U.S. safety standards. 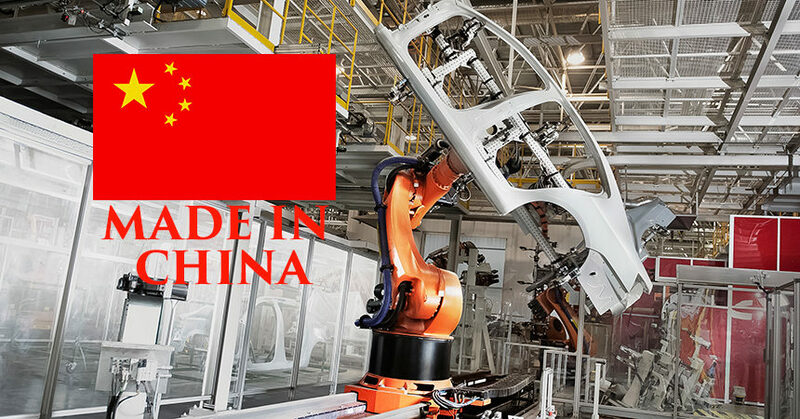 But Chinese automakers like GAC Motor and Geely’s Lynk & Co (Geely also owns Volvo) have come a long way in quality, design and safety in their home market, and they now have the backing of mandatory joint ventures with established Western brands. This confidence has led GAC to announce plans to sell cars in the U.S. by 2019 and Lynk & Co by 2020 (the brand’s 01 compact CUV is seen above). Other brands—particularly smaller, EV-centric automakers—have expressed interest in the U.S. market as well. When these brands do begin arriving on U.S. shores, their best chance for grabbing consumers’ attention—and sales—will be to compete on price, Autolist’s survey found. Forty percent of those polled said price would be the most compelling reason to buy a Chinese brand vehicle. Technology was the second most cited reason at 18%. Safety ranked third at 15%. Brand awareness is practically non-existent among U.S. consumers. Seventy-seven percent of respondents said they hadn’t heard of any of the following Chinese brands: GAC, Lynk & Co, Geely, BYD, Chery or SAIC. Of the brands listed, Chery ranked the highest in name recognition, with 5.77% of consumers saying they had heard of it. GAC ranked second, with 4.48% saying they’d heard of it and SAIC came in third with 4.73%. Sign me up for the first Lynk and Co. Suv! Geely did not steal the technology, they legitimately bought Volvo from Ford who had no vision for the company. Volvo has since won multiple awards and the highest salesin the company’s history. They bought London Taxi out of bankruptcy, built a stat of the art factory for electric cabs and commercial vehicles. Their technology is shared across all platforms and all of their many brands. Watch this company, Li Shufu has the midas touch.